The coffee industry tends to be filled with people of all sorts. But none more so than artists. Coffee and the arts are so intertwined that often we see the fruits of that connection come into existence through song and dance in flavours and expressions. Designers, musicians, photographers, stylists and more. All come together to create a masterpiece in a cup, and play their tune to the grateful ears of the awaiting public. This is the beginning of the Zest story; the artistic pursuit of taste and flavour is what gives Zest its individual voice as a coffee roaster. That sentiment is only truly effective if they can communicate their coffee in a dialect that all coffee drinkers are already fluent in. This is why Zest coffee is expressed in music - an analogy alongside tasting notes to better capture the coffee tasting experience. The focus between the gustatory and auditory world (taste and sound) allows Zest to play the high notes, low notes, brightness, structure, length and feeling that exists in both music and coffee. “With this approach we feel we can really capture and communicate the expression of a certain blend or coffee-lot.” says Rob McDonald, Zest Creative Director and jazz vibraphonist. Drawing upon his experience as a musician to further understand the art of coffee as a writer, roaster and sourcer, Rob has an insatiable appetite to understand every detail of the journey of coffee from seed to the cup. Today’s coffee is a tune of what their musical connection with coffee can represent. 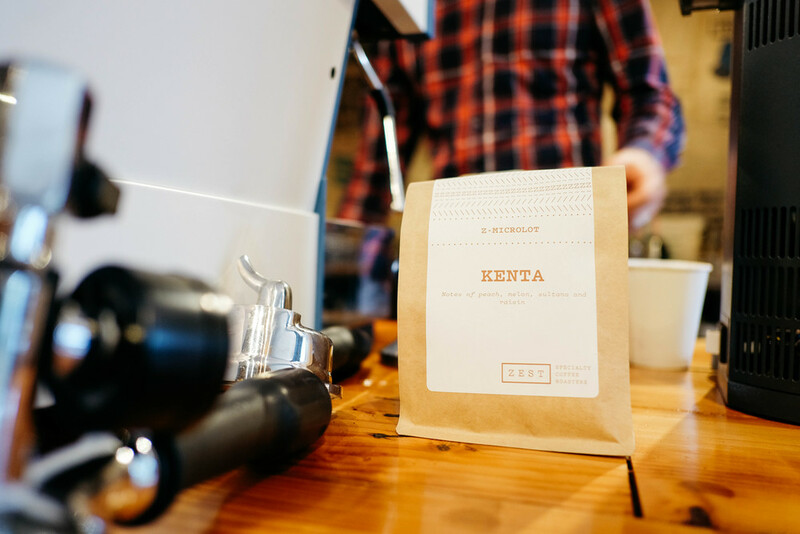 The ‘Kenta’ is a stunning expression of coffee from the Papua New Guinea highlands. The Kenta farm grows the oldest Ethiopian Coffee varietal, Typica (the coffee plant that usually has bronze tipped leaves). The Kenta is also grown at a staggering 1,800 MASL (some the highest coffee grown in PNG). It is for these reason the Kenta is dense and smoothly presented bean that doesn’t mind some considerable heat and caramelisation from the roasting process. Papua New Guineans are one of the three sweetest coffees (along with Colombians and El Salvadorians) and have the highest rate of carbohydrate to sugar conversion after roasting. The Kenta lives up to the reputation being so sweet that they joke that the tasting notes are simply ‘tropical cordial’. 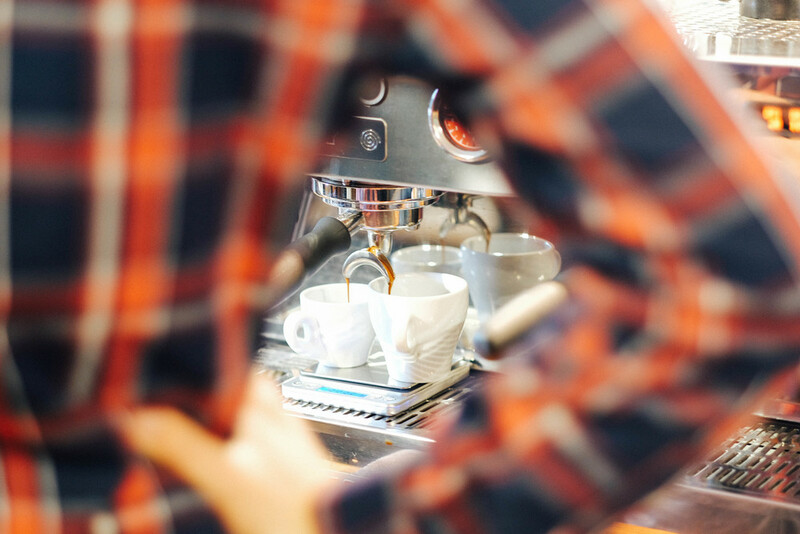 Roasted for both espresso and filter, in this coffee we have found flavours reminiscent of peach, caramel and melon with subtler notes of boysenberry, raspberry and raisins. Rob tells us, “We have seen a growing trend of customers wanting to purchase a higher quality coffee bean regardless of the cost”. He believes this is partly driven by the awareness of the distinctive attributes of high quality coffee become more widely understood and more importantly, appreciated. The Kenta coffee comes with a word of advice from Rob. “Inspire your friends and colleagues with coffee, encourage your local café to invest in a micro-lot, even give you parents an Aeropress for Christmas; spread the word on just how spectacular great coffee can be!” By introducing and sharing the experience of Specialty Coffee with your friends, family and personal network you are furthering specialty coffee and contributing/supporting the further growth of this amazing industry. At Zest, it seems one of their favourite sayings is, “education brews appreciation”.